Bono is a douche, but the Edge keeps rocking! Also he is 40 stories tall! +10 for the Edge, -5 because he’s got Bone-O stank on him. 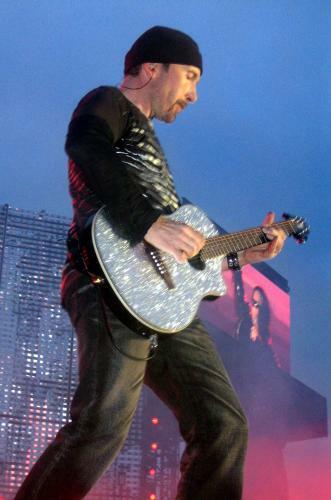 Still, it is hard to concentrate on The Edge when Sir Bon-o-lot is on the big screen behind him. Are we still using the word ‘Douche’?